Monday, December 24th - Tuesday, January 1st. Last day for shipping will be Friday, December 21st. Please plan accordingly. 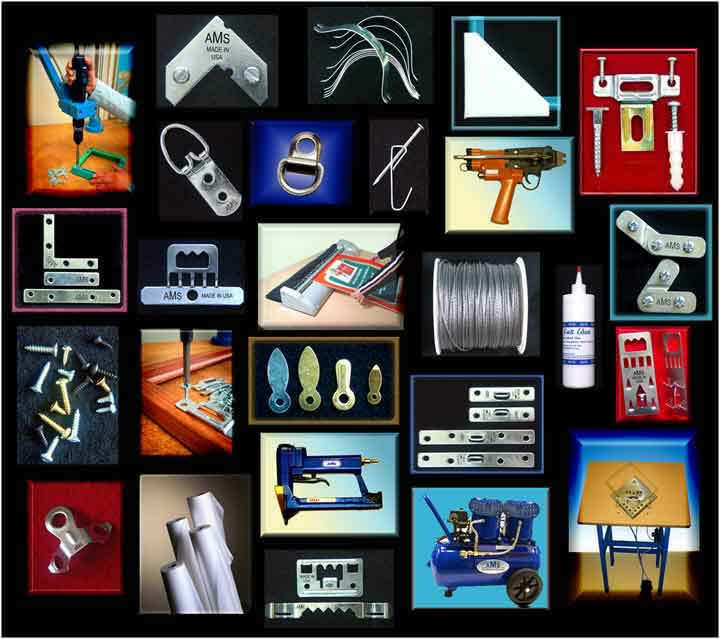 AMS was founded in 1976 to provide reliable generic hardware to the aluminum picture framing industry. with an accompanying reputation for high quality and fair prices. Our continually-expanding primary product line consists of metal hardware to assemble, hang and secure aluminum, wood and plastic picture frames. Other items in our line include self-locking protective corrugated corners, mounting materials, wire, easel backs and a growing selection of hand- and air-operated machines used for the installation of AMS parts. Browse through our online catalogue using the tabs above. Look for further enhancements and improvements in the near future!